First week is practice/qualifying week which has evening practice sessions starting around 6 pm through to 9 pm. Note: make sure you book your ferry or airline tickets to the Isle of Man as early as possible – specially the ferry tickets. We do not book these bu ferry tickets can be made by visiting steam-packet.com. Join us for a brilliant way to spend the opening race day of the TT! We head off to a well-loved pub along the race course and drop anchor to watch the action, drink the beer and have a great lunch with fellow bikers and your guide. The package includes admittance, lunch and several “beer coupons”. We also provide transport FOC for our package customers. Final venue TBC . Join us in the superb Monster Hospitality pavilion at the paddock for a great way to spend “Mad Sunday”. We join a special Mad Sunday Hospitality with guest speakers, food, drink (alcohol is on a pay bar), and lots of things going on! Typically there is either a MotoGP or WorldSBK race which will be screened. You can take a tour of the paddock and generally take in the atmosphere. It’s a free evening, but we suggest a walk to the Promenade to join more parties! No children under 14 allowed in the tent. Transport included for all package customers. 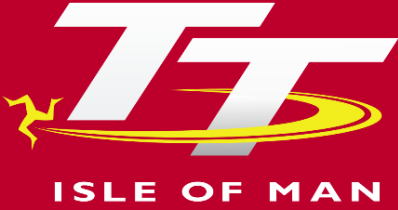 Join us to kick off the final portion of the legendary Isle of Man TT! On Tuesday night we kick off the race week with a brilliant night of food, drink and special guest. Past guests have included Isle of Man local hero Conor Cummins, ex-Gp star Danny Webb, “Milky” Quayle, Phil MCcallen and many more others. This year there will also be a special charity auction for the Joey Dunlop Foundation. Beer/wine/soft drinks and a great buffet awaits. takes place at the Sefton Hotel. Doors open at 19:00. 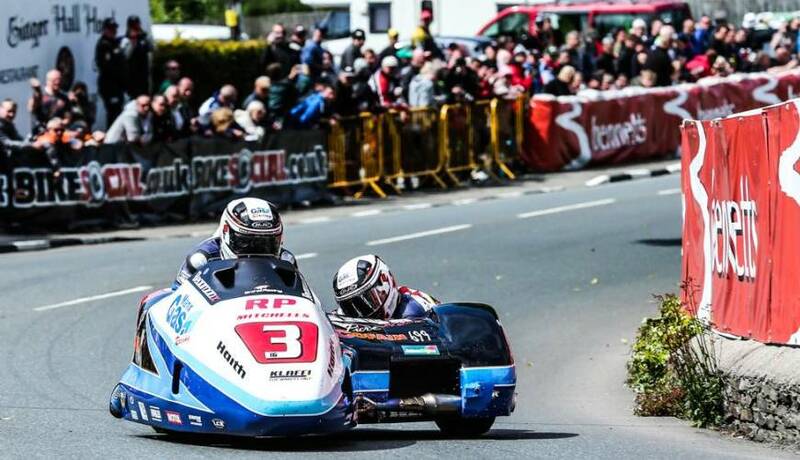 You spend the day as a special guest of our sponsored sidecar team Manx Gas Klaffi Racing! Superb hospitality, great stunt show, and you can literally touch the riders from our pit-return lane unit. Former 3x world champion Klaus Klaffi and his World Championship team of Tim Reeves and Mark Wilkes (subject to change) will be on hand to show us around the bike and garage. Tim is one of the most successful sidecar racers of all time – 7 time world champion, won the British sidecar championship the past four years running and routinely wins road racing events such as the Southern 100. There is no racing today, so we take advantage of this to take a private tour of the track with an expert, racer guide! (a spellbinding James Hillier in 2015). We stop for lunch at the legendary Creg-ny-baa Inn and generally take in the Isle of Man. Evening is a free programme and a chance for you to explore the astonishing Douglas nightlife during the TT! We usually organise a table at a local restaurant on shared cost basis. Is there a better viewing spot on the Mountain Course than the legendary Creg-ny-baa pub right on the mountain section? What a way to spend the Senior Race Day! We take you up to the Creg in the morning where we join the lucky few at the private upstairs bar. Open bar for beer/wine/soft drinks all day, a classic pub lunch and an awesome viewing terrace make this the quintessential Isle Of Man experience. We have a private table for 20-30 people only so this will be a sell out so book this at the same time as booking the Package. * Conditions: Prices per person in NZ$, twin share on board basis and ticket category as listed above . Payment: 60% non-refundable deposit due at the time of booking. Balance due 7 Jan 2019. Balance is subject to exchange rate fluctuations and price is guaranteed only upon receiving full payment (exchange rate used .55 against the Euro as at 3 Jul 18). Cancellation: All tickets, excursions, merchandise and transport purchases are non refundable. On the accommodation portion of the booking, the cancellation charges are: prior to 10 weeks before the event date – 25%. After 10 weeks prior to event date – 100%. In the unlikely event that the Event is cancelled outside our control, all money less 20% will be refunded. Subject to availability and AIM Holidays T&Cs as listed on our website.